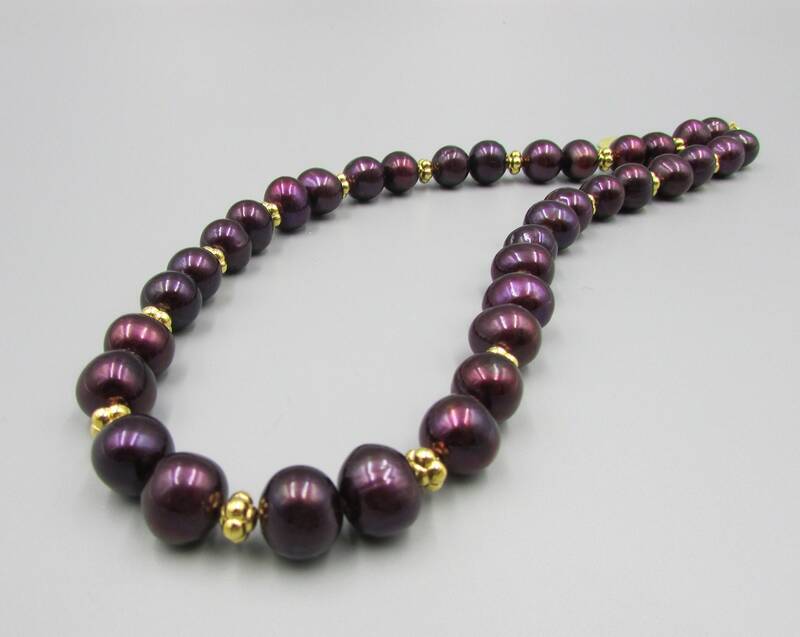 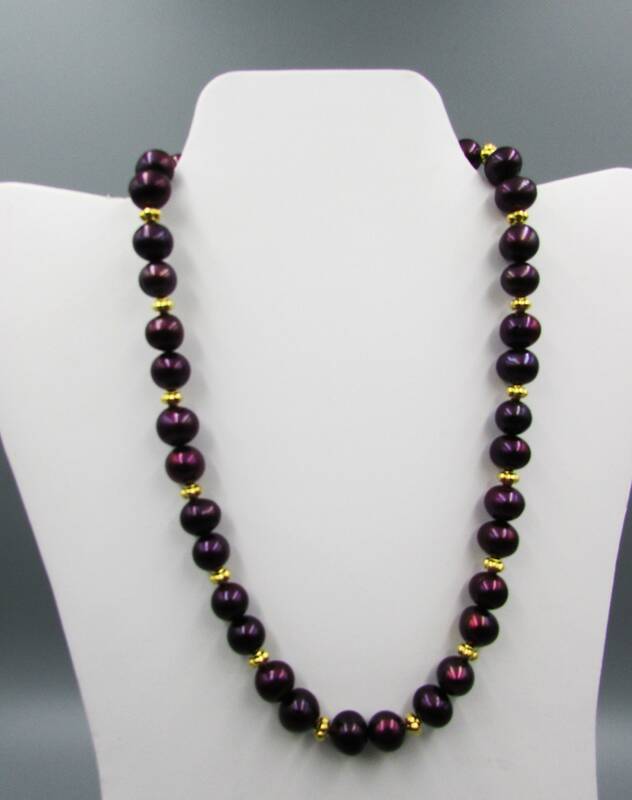 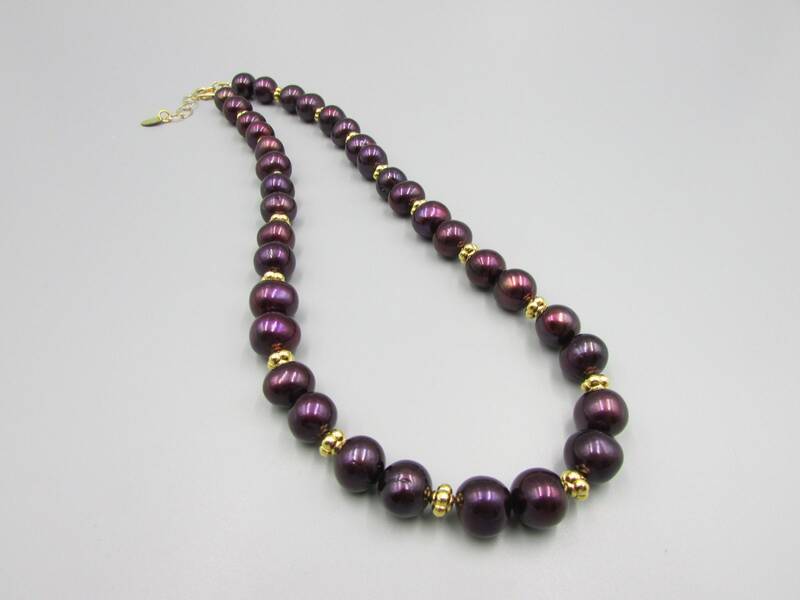 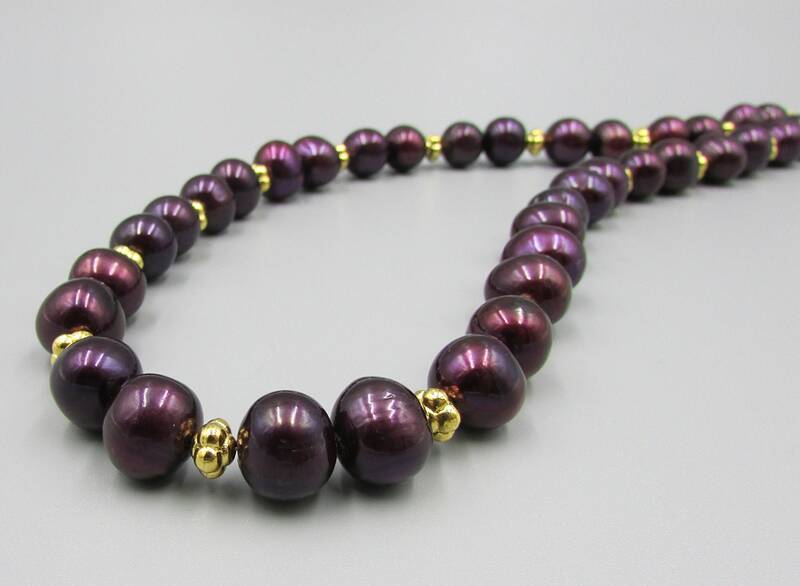 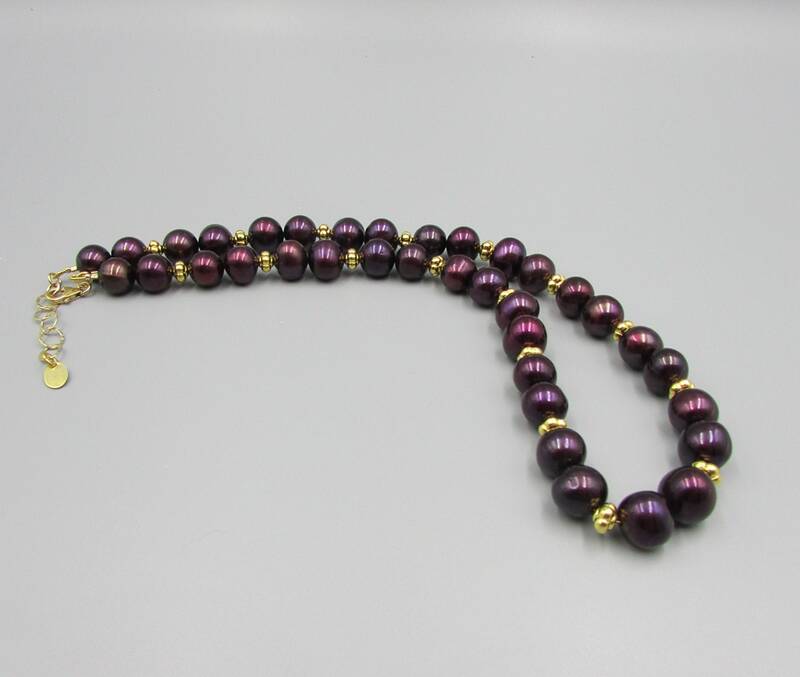 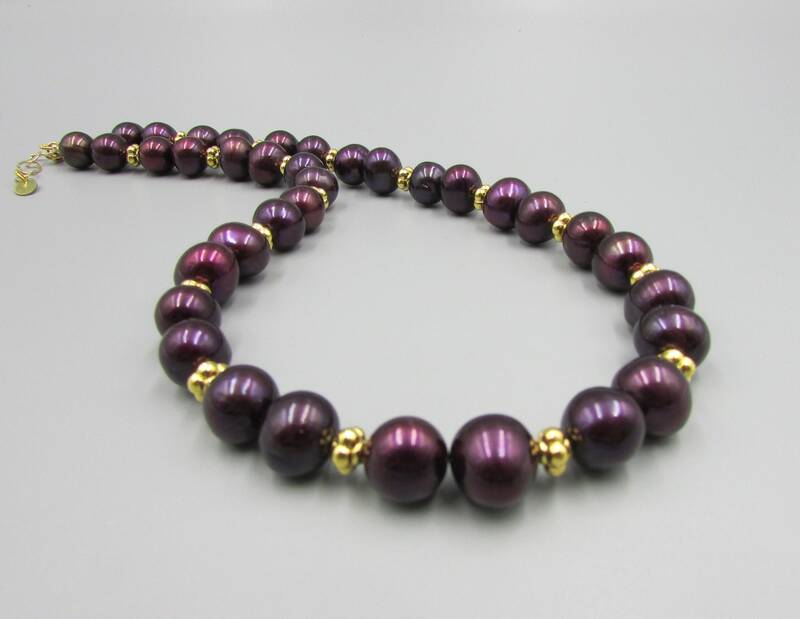 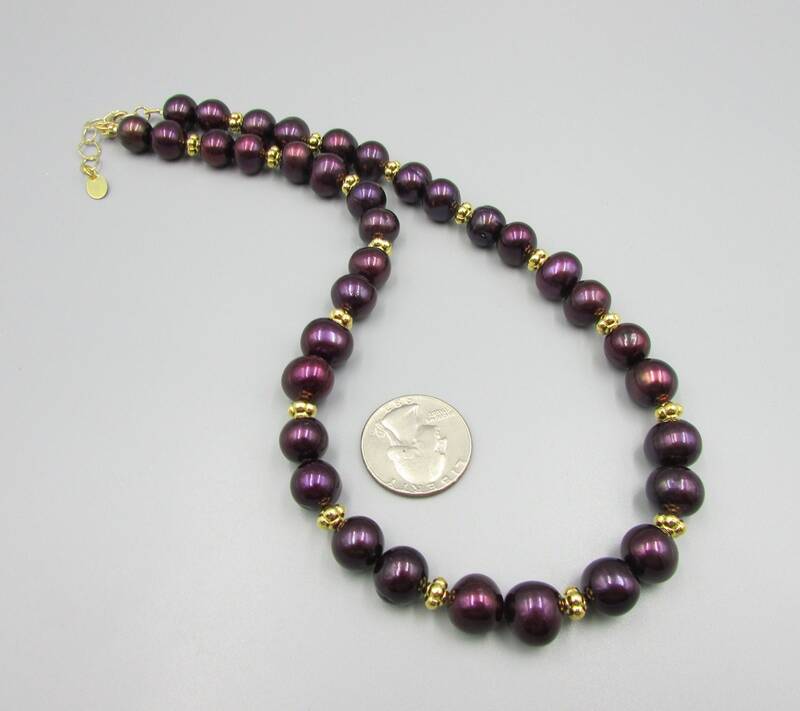 This stunning necklace is created with large 11-12mm plum freshwater pearls added with 14K gold plated fancy spacers and finished with a gold filled lobster clasp. 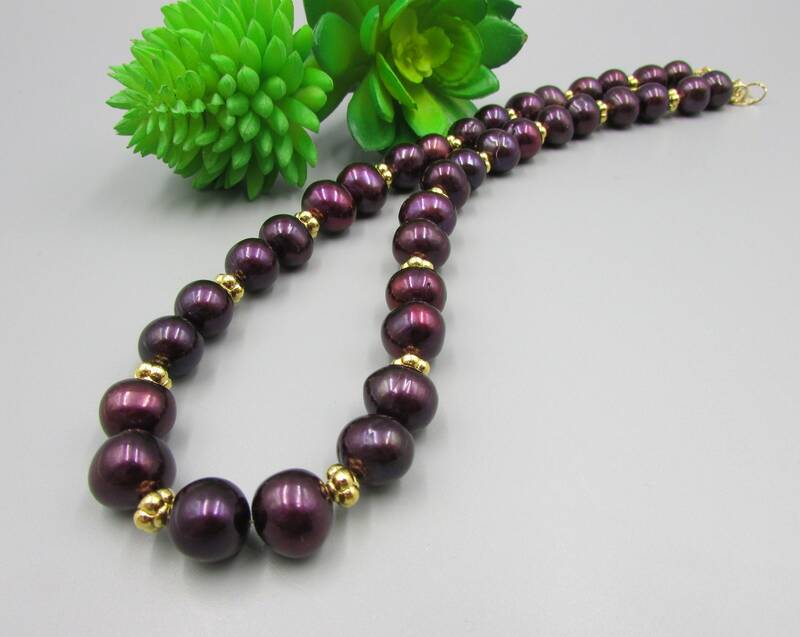 The pearls are smooth potato shaped with lovely luster. 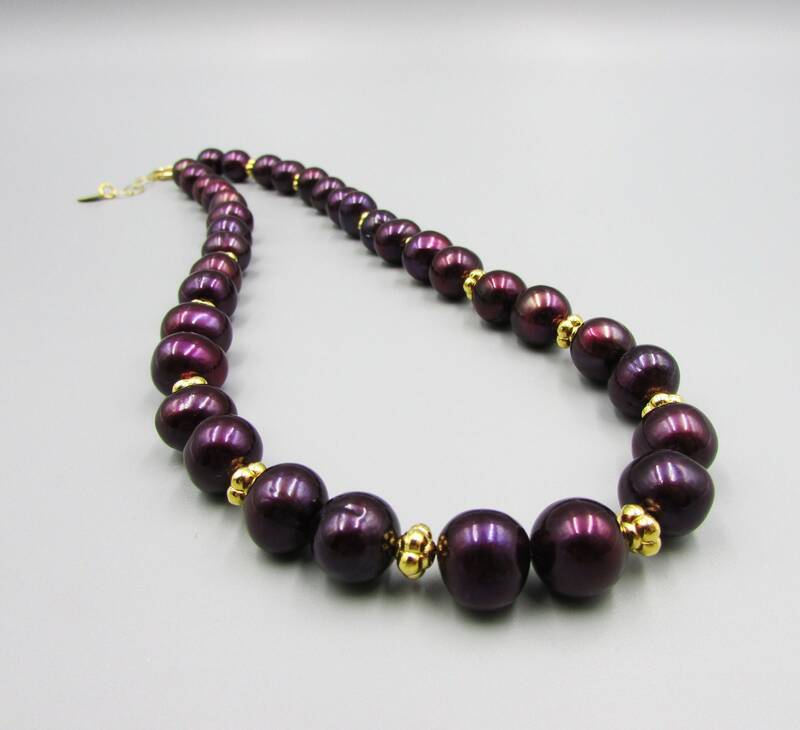 The color is plum, violet, red purple in hues. 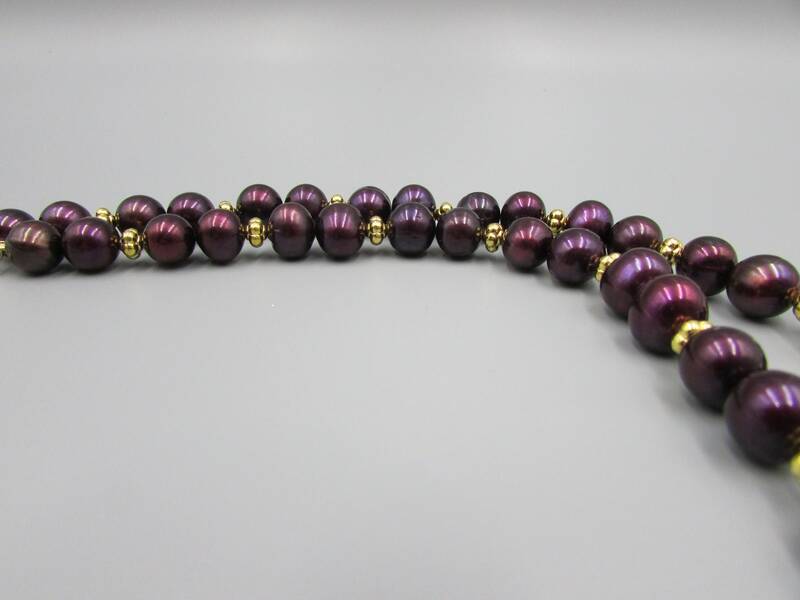 Stunning Color.